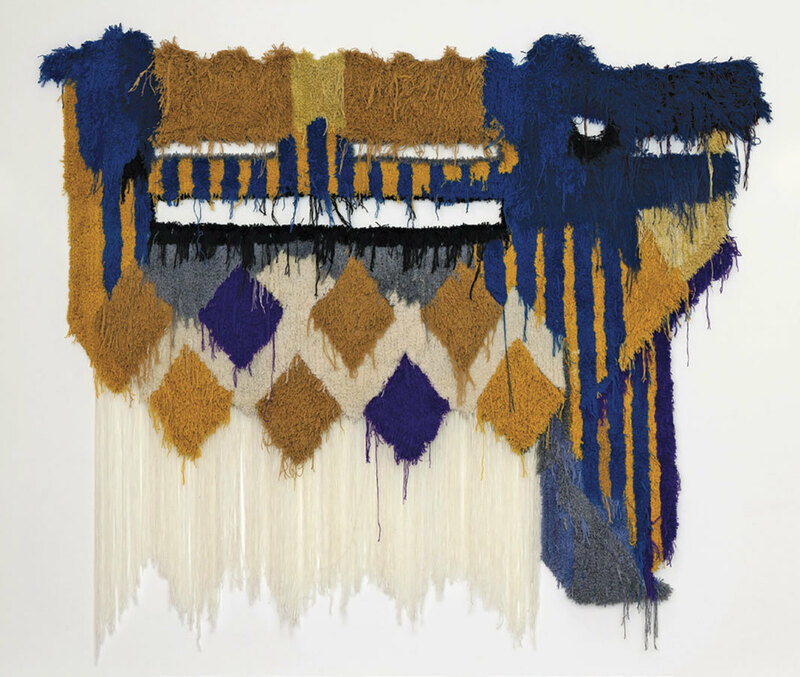 Caroline Achaintre, Hocus Locus, 2018, hand-tufted wool, 92 1⁄2 × 107 1⁄2". “Duo Infernal,”the first solo show in France for the French-born, London-based artist Caroline Achaintre, included woolen wall hangings, glazed ceramic sculptures, and psychedelic watercolors set against pink-accented walls. Borrowed from a 1982 song by the German punk band Extrabreit and Marianne Rosenberg, the exhibition’s title served as a reminder of the essential role that duality plays in Achaintre’s oeuvre. The artist’s consistently contradictory works appear at once functional and decorative, earthly and otherworldly, abstract and figurative. Like a Rubin’s vase illustration where the negative space between two profiled faces reads as an urn, Achaintre’s paintings and sculptures impel the viewer to flip back and forth between two realities and thus engage in an exercise that brings an existential flux to her works. Achaintre uses a tufting gun to make large-scale woolen tapestries.